(PsychologyToday.com — August 30, 2016) Honoring National Childhood Injury Prevention Week starting September 1, parents of student-athletes, among all the others involved in sports, must face the realities of the mild traumatic brain injury, also known as concussions. 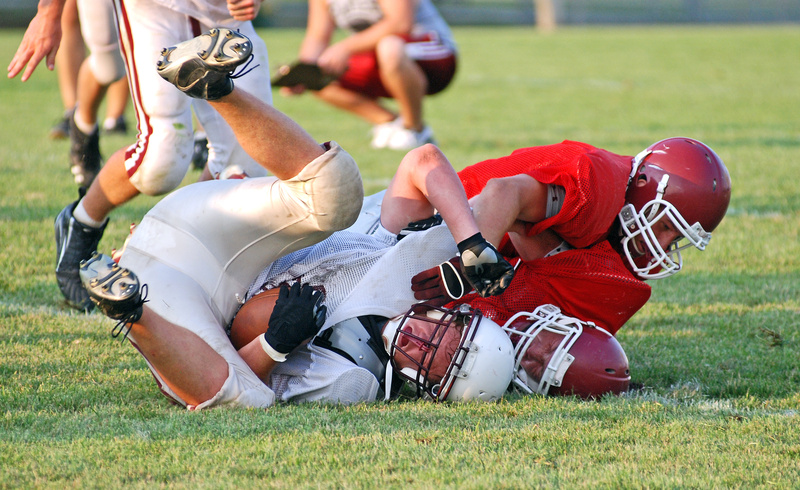 Concussion incidence rates are higher than you think. An estimated 3 million concussions are reported every year, according to the Center for Disease Control. For children under the age of 5, the highest culprits of concussion injury are falls from car seats and strollers. Additionally, brains are particularly susceptible to concussion injury at younger ages, and continues to develop through the age of 25. Get your athlete “baseline” tested. This is typically a neurocognitive test that measures memory, language and process speed prior to concussion injury. It establishes a baseline score for the athlete, and can help identify which athletes may be more prone to injury. I recommend using a baseline test that also measures emotional issues and balance. Use an onsite concussion assessment tool. Select a concussion detection mobile app or other sports concussion assessment test to have on hand during the practices and games. Follow a recovery protocol for a healthy return-to-play or return-to-learnenvironments. After a concussion, the best thing to do is rest the individual. Avoid overloading the brain with input from movies, gaming, talking, texting, even reading.Sleep is the prescription. Then, begin the recovery protocol. This is a progressive-exertion protocol that allows the brain to heal, bringing it along in a way that does not provoke symptoms from re-occurring. Once the athlete can complete the recovery protocol, then seek medical clearance from your physician. Finally, seek to instill a new culture on the team that values the brain health over wins and losses.